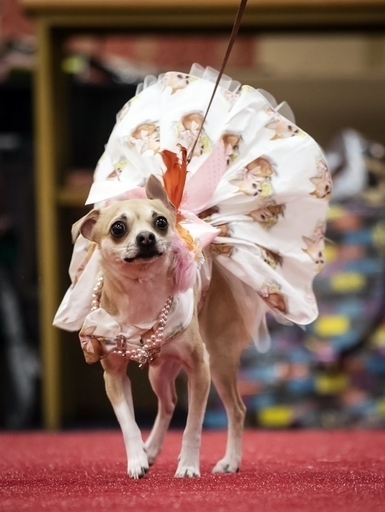 A Furbabies puppy pageant's taken place in West Yorkshire. 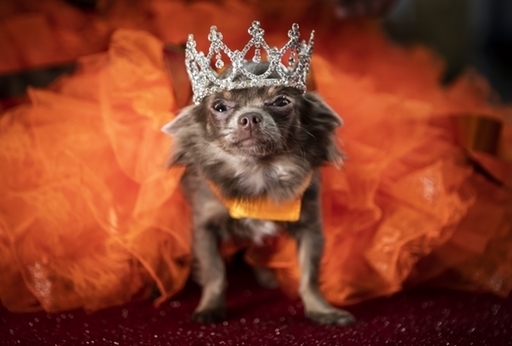 They may not receive the same prizes and adulation as the best-in-show champion at Crufts but the kings and queens of this doggy pageant are no less pampered pooches. Dozens of pups gathered in Wetherby, in their fairy wings and princess dresses, for what organisers believe is the first show of its kind in the north of England. Entries for yesterday's fun dog show came in all shapes and sizes - pedigree and very non-pedigree - to parade in their costumes in the local social club. 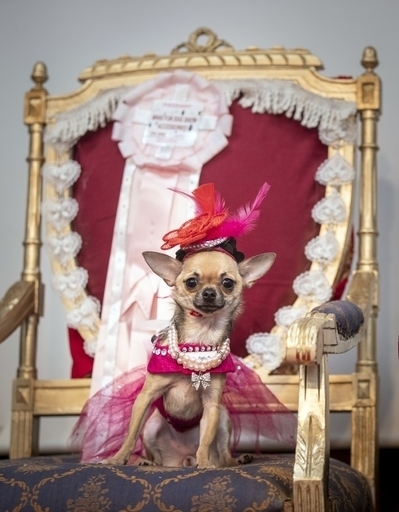 Dogs and their owners came from across the north of England and the Midlands to compete for their tiaras and crowns, all the while raising cash for a dog rescue charity.